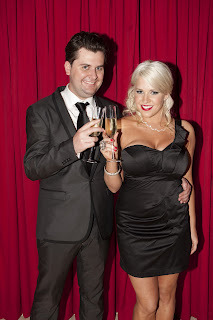 Beauty and the Geek Australia wrapped up last week on channel 7 with newly remodelled 007 body double Michael Price and his partner Jessie crowned as the winners! As far as ratings go, Beauty and the Geek season two was a great success with the final episode placing 3rd in the weekly ratings. Follow on for my chat with Michael. Ryan: Today I have the pleasure of speaking with the winner of Channel 7's Beauty and the Geek, Michael. Thanks for speaking with me Michael. We've found that you're a national maths champion and electrical engineer but what else makes you a geek? What are your geeky past times? I enjoy gaming, particularly RTS and FPS genres, at the moment I’m playing Halo Reach. I’ve enjoyed magic tricks since I was a kid and like to try to do them, but I have found that my lack of co-ordination and dorky humour that goes with them doesn’t win me any cool points. I enjoy mathematics and physics, I find the way they represent the universe beautiful in a way. I enjoy a good sci-fi series or two, currently I am into Stargate Universe and Fringe. Probably the thing that makes all my friends universally agree that I am a geek though is my nerdy sense of humour and general awkwardness. Where did your path to geekdom start from? I first realised I was a geek when I won the Australian Maths competition back in grade 3. I increasingly hung around with the other academically-focused friends and I guess we followed what interested us rather than what was considered “cool” by the general school population at the time. Why did you decide to audition for Beauty and the Geek Australia? A friend asked me to come and audition with him last year and I chickened out, but I watched the show last year and thought that it looked like a lot of fun. I started thinking that it could have been me out there and regretted the fact that I didn’t even try out, so when this year’s auditions came around I went for it. Do you feel that the show has helped you in any way? The greatest change that I have felt is definitely my level of confidence. I have always enjoyed heading out with my mates for a few drinks but could never bring myself to go and meet girls when I do. Since the show has started airing they have been coming up to me, I’ve been treated like a bit of a star, but even without that I feel much more confident talking to people, and I think the beauties played an essential part in bringing that out in me. What changes have you made in your life since the show finished? With the help of my partner Jessie I went on a shopping trip and have bought myself plenty of new clothes. I’m considering getting a car with some of my prize money and am going to force myself to become more outgoing. What advice can you give to anyone who feels different or not part of the "in crowd"? What’s important is finding a group of friends that you enjoy being with, not being in the “in crowd”. There is no one formula for being cool that works for everyone, so you are better off being a genuine and friendly person and having fun doing your own thing, if other people don’t like that that’s their problem. For those in this situation in high school, you’ll find that once school is finished most people will realise how little “coolness” matters anyway. Master – Yoda, Kenobi and co. Cool – Something that I have realised is what you make it. No single thing is cool for everyone. Euler – A maths camp I went to just before starting year 12. We did a fair bit of work on him. Tamika – Delightful girl, open, caring and playful but at the same time bizarre! Her brain works very differently to mine but she’s a very beautiful person inside and out. Speaking of Tamika, have the two of you had a chance to catch up since the show finished? Yes, we have caught up a few times since filming finished, once at the Gold Coast, thrice in Brisbane and we just got back from a trip to Perth yesterday. Things aren’t the same as they were in the house, as that was a very emotionally intense experience, but we are still close friends and enjoy catching up whenever we get the chance and just seeing how things go in the real world. Many thanks go to Michael for taking the time to speak with me. There is no doubt that Beauty and the Geek Australia will return for a third season. With ratings like that Seven would be crazy not to option it for another round!